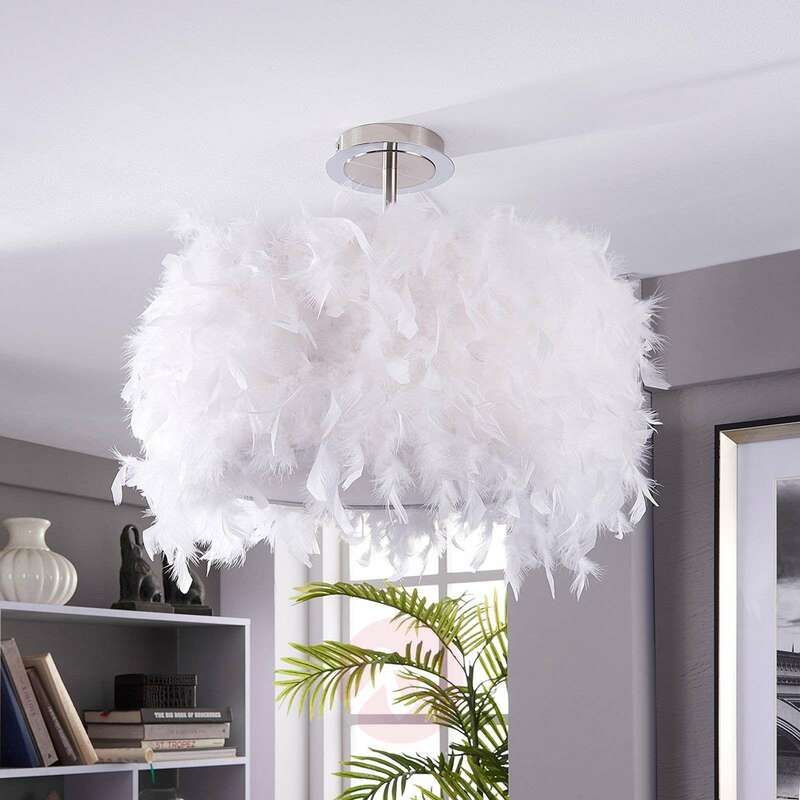 The thing that is reminiscent of a cushion or what there is inside a feather duvet is actually a ceiling light! 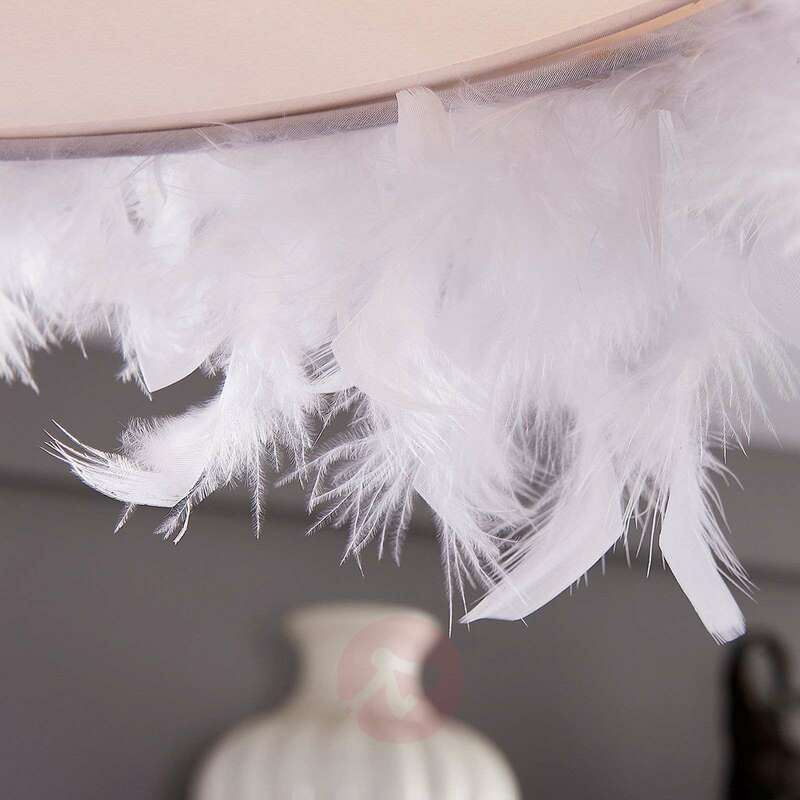 Pauline has a cylindrical, white cotton lampshade which is populated with real duck feathers on the outside and, therefore, has a wonderfully fluffy appearance. 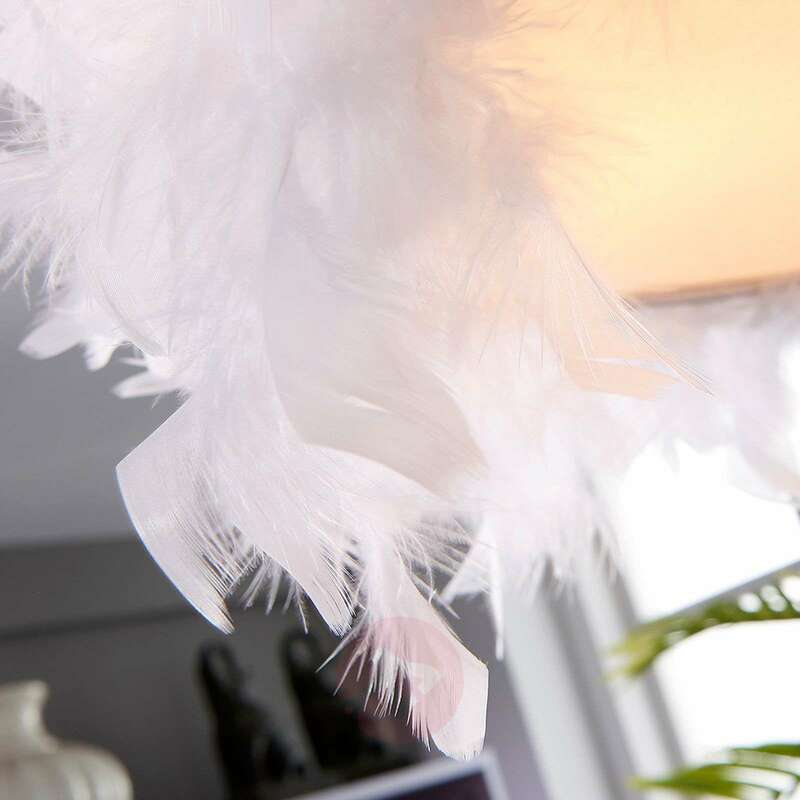 It looks so cuddly that merely looking won't be enough for many people, as they will feel the impulse to reach out and touch the fluffy surface of the feathers. 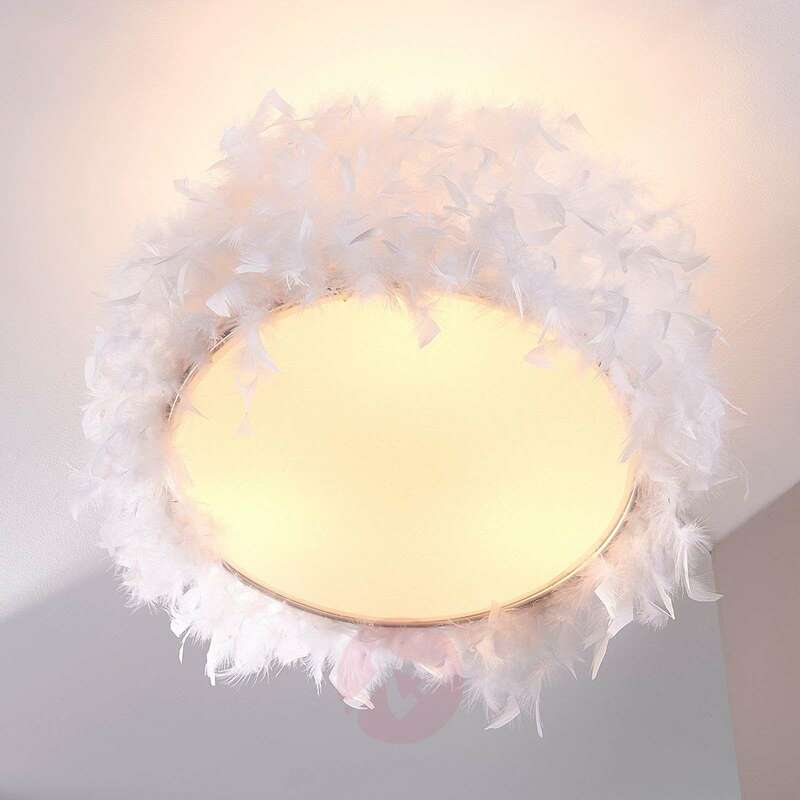 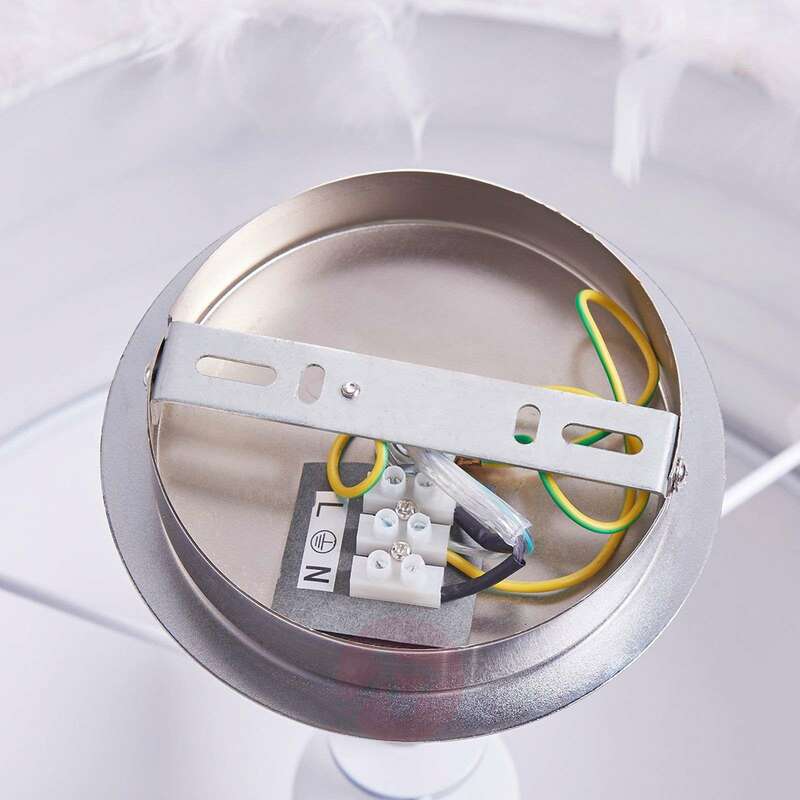 Whilst the look and feel combine to form something very special, the light emitted by this ceiling light should also not be neglected, as a wonderfully warm light impression with gentle shadows is produced as soon as the ceiling light is turned on. 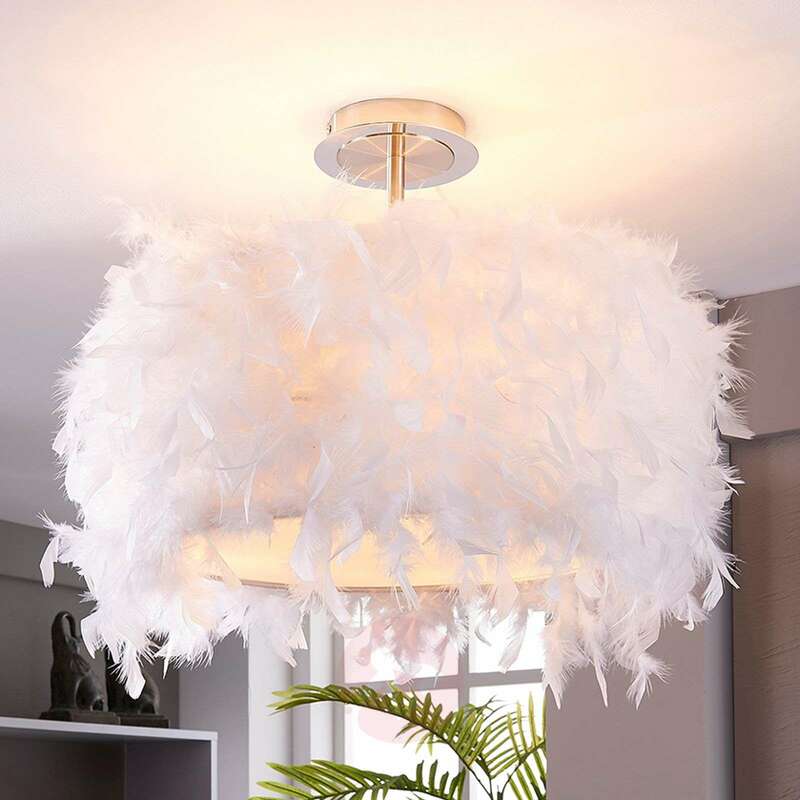 does the lampshade fit on a ceiling rose? 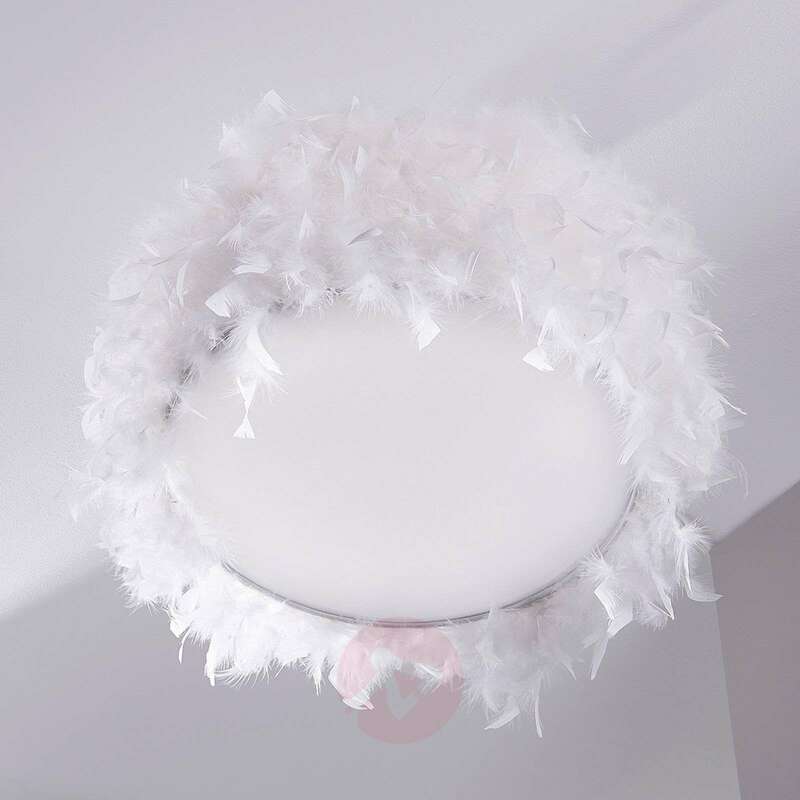 This lampshade is attached to the light. 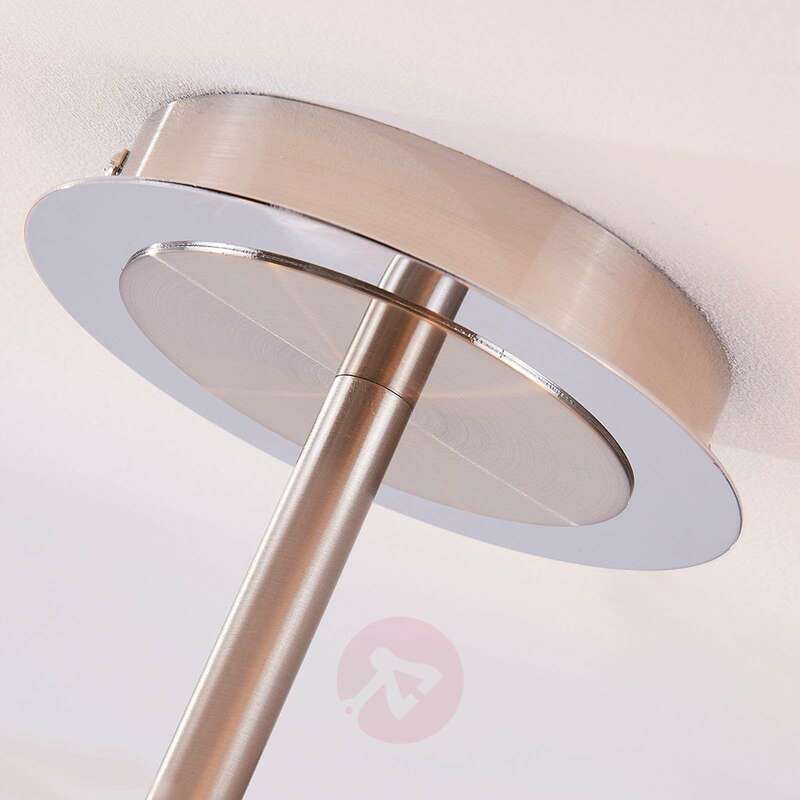 Ceiling fitting is included.